Rates of HPV vaccination among adolescent Hispanic males lag far behind the Healthy People 2020 80% goal. 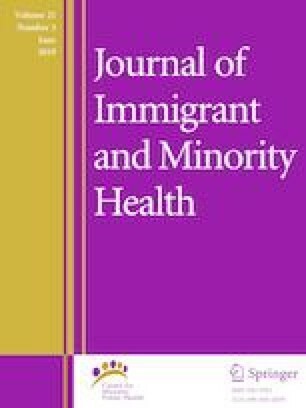 This study identified Hispanic mothers’ salient beliefs regarding having their sons initiate the HPV vaccine series. Twenty-seven Hispanic mothers completed in-depth interviews. They responded to questions that elicited the salient behavioral, normative and control beliefs associated with initiating the HPV vaccine series. We content analyzed their responses. We found that, regarding having their sons initiate the HPV vaccine, mothers: (1) express mostly positive feelings; (2) believe that the vaccine has positive effects, with side effects as the main negative effect; (3) believe that their sons’ father and doctor support vaccination while some friends do not; and (4) believe that vaccine affordability, transportation and the support of their sons’ father facilitate vaccine initiation. Overall, mothers held positive salient beliefs about the HPV vaccine including that it protects their son’s health, has minimal side effects and is recommended by physicians. We are more likely to increase vaccination rates among adolescent Hispanic males if we address mothers’ salient beliefs, including reinforcing their positive beliefs. This study was funded by NIH/NCI Grant K01CA181437. Markowitz LE, Dunne EF, Saraiya M, Chesson HW, Curtis CR, Gee J, et al. Quadrivalent human papillomavirus vaccine: recommendations of the Advisory Committee on Immunization Practices (ACIP). Morb Mortal Wkly Rep. 2007;56(RR-2):1–24. https://www.cdc.gov/mmwr/preview/mmwrhtml/rr56e312a1.htm. Howlader N, Noone AM, Krapcho M, et al. SEER cancer statistics review, 1975–2008, Bethesda, 2011. http://seer.cancer.gov/csr/1975_2008/. CDC, National Immunization Survey, 2014, Atlanta, 2014. http://www.cdc.gov/vaccines/imz-managers/coverage/nis/teen/data/tables-2014.html#race. ODPHP U.S. Department of Health and Human Services. Healthy People 2020 [Internet], D.C., n.d. http://www.healthypeople.gov/node/3527/objectives#4654.